I added these fans to the rear to exhaust any hot air and used the included splitter cable from one of the fans. I was expecting them to be noisier but they are very quiet. It is possible to add a second fan onto my CPU cooler. If I did I doubt these fans would be required as the second CPU cooler fan would be very close to the rear of the case but I guess these help with general case air flow. I bought this fan for a short fix to mount on a side panel while overclocking. It dropped CPU temps several degrees in a case with bad airflow. Has good weight and materials feel solid. 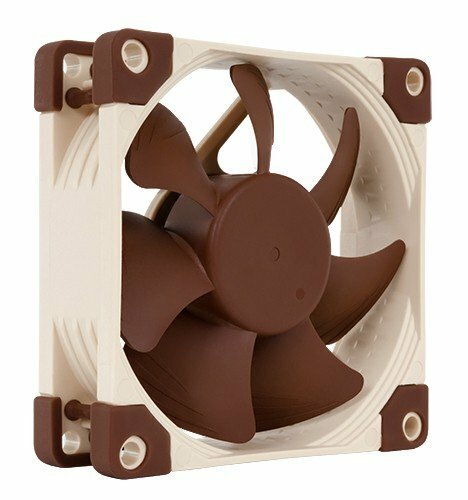 Have had a good experience with Noctua customer service as well! So since building this i have replaced or added a noctua fan to every fan slot only to find that it was not the cougar fans i bought necessarily, but the AMD wraith spire fan that just sounds terrible at a constant 1700rpm or higher, so i should look into noctua cpu coolers or just throw some noctua fans on a hyper 212 evo. I haven't done any testing yet, but I have two of these in my iStarUSA D-400 Rack Mount Chassis along with an NF-F12, and they're all DEAD quiet. Like to the extent that I had to open up the case, and see for myself that they were running.